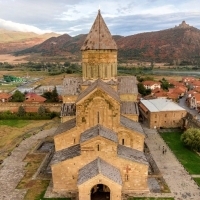 world sights of UNESCO, and is only twenty minutes from Tbilisi. 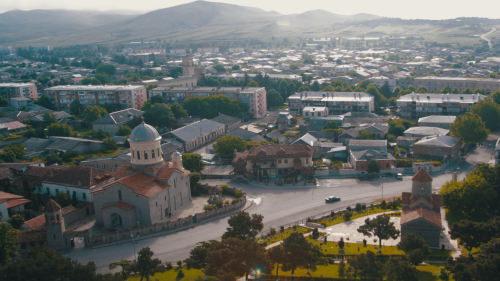 Gori is one of the main cities in Kartli now. 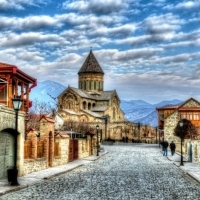 It has existed from the last centuries BC, when a citadel guarded the city. 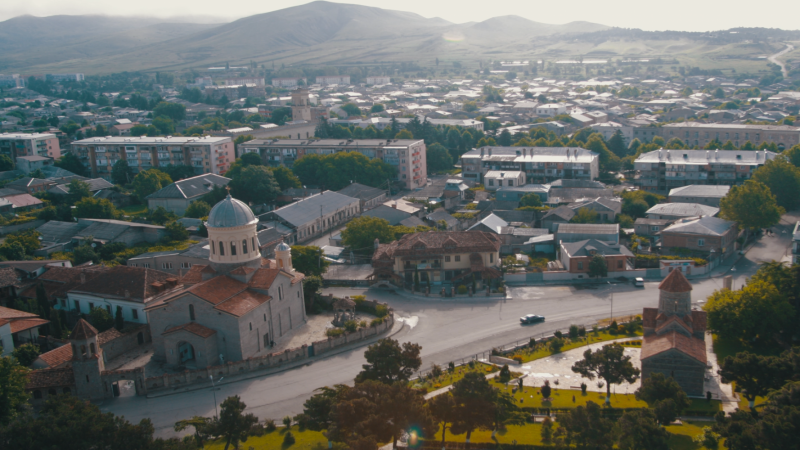 Gori is known as the native city of Joseph Stalin, the famous 20th century politician. Visitors can see his boyhood home there, and tour the museum in his honor. 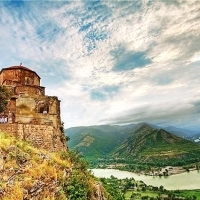 There are some of the oldest historical monuments in Kartli: Ananuri, built in 16-18th Centuries and Uplistsikhe, a city built in the rock. 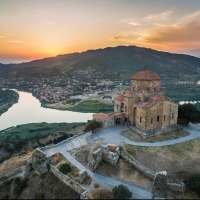 In the 3rd -1st centuries BC it was a typical Hellenistic town with its citadel, city and suburbs. It was a big political, cultural and religious center as well. Today, it is a museum city. One can turn from the ancient past to the ultramodern atmosphere of Gudauri, on the Caucasian mountain range. Gudauri is a winter resort of an international caliber with comfortable mountain ski runs and first class hotels. The fun in the sun and snow are at the disposal of skiing fans for six months of the year, who can speed down from the 3000 meter mountain. 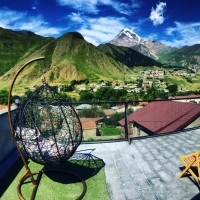 In the ravine beyond the Caucasian mountain range, in one of the most breathtakingly beautiful surroundings, lies the historical province of Georgia, Kazbegi. 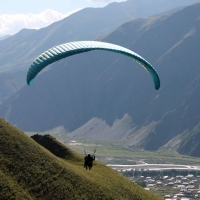 In this charming alpine zone rises the majestic snow capped mountain Kazbegi (5047 meter height). 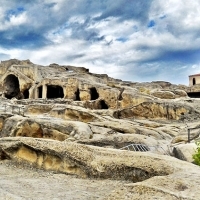 The legend goes that Prometheus was chained here by the Greek gods for stealing their knowledge. Part of Shida Kartli is occupied by Russia after 2008 war !